NOTE: This content is old - Published: Tuesday, Jan 15th, 2019. Plans to build up to 600 new homes in Wrexham have been formally submitted, despite concerns about the strain such a large development will have on local services. The outline application for land south of Holt Road has been submitted on behalf of Barratt Homes, Bloor Homes North West, John Raymond Jones and the Trustees of the Wrexham (Parochial) Education Foundation. The development, which is described as providing “an opportunity to deliver a range of much-needed community improvements”, would run between the Wrexham Rugby Club and the roundabout by Wrexham Golf Club. 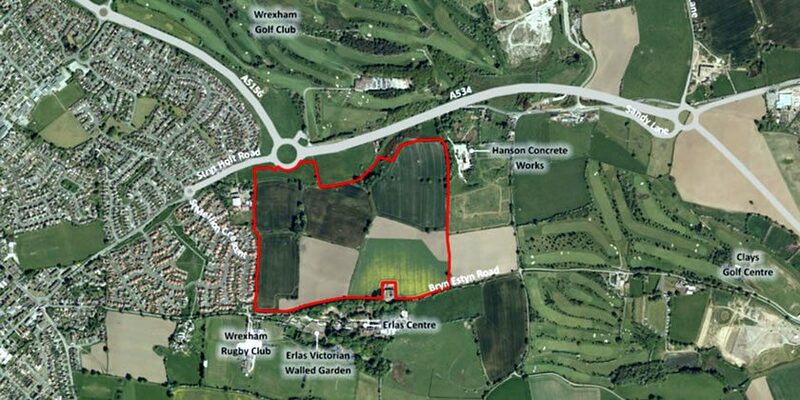 The site area itself has been identified by Wrexham Council as suitable for up to 1,680 new houses in its draft Local Development Plan. In September 2018 Wrexham.com published that a public consultation had been launched for the plans – with developers stating that the ‘proposed new homes will deliver a ‘significant’ economic boost through additional household expenditure of £10 million each year by new residents”. They added that 173 direct and 154 indirect jobs would be created by the plans. A quarter of the properties will be affordable homes suitable for first time buyers. 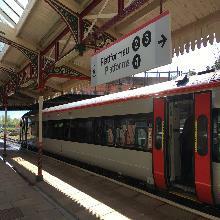 But concerns were raised at the time about the pressures such a large development have on local services. Speaking at the time, Rhosnesni councillor Mike Davies said it would be the equivalent of building an entire village next to his ward and has called for clarity on how schools and health services will be able to cope. However a design and access statement submitted on behalf of the applicants says the development will see a number of benefits to the community, including increased revenue to the local authority through additional council tax receipts and the provision of new housing in an area with an acknowledged housing shortage. Details provided in the application’s note that the development will “provide family housing with two – four bedrooms, which is appropriate to the current requirements to the local area”. Of the 600 properties, 15 per cent would be two bedroom homes, 60 per cent would be three bedroom homes and the remaining 25 per cent would be four bedroom homes. It is also proposed that 40 per cent of the homes on the site would be classed as ‘affordable homes’. The properties would consist of a mixture of detached, semi-detached and terraced. Two primary vehicular access points to the development have been proposed. The first would be situated off the existing roundabout to the north of the site and one along with southern boundary at Bryn Estyn Road. A further two secondary points will be provided at two locations along the western boundary and a third secondary access point along the southern boundary, to the west of Bryn Estyn Court. The application will be considered for approval at a later date.